Sagrada Família is kind of hard to miss in Barcelona, not only because of its height and size, but it is unusual to see a seemingly old building constantly surrounded by construction cranes. On the day of visit, tourists craned their necks to gawk at the spire, some with the ice-cream they just bought from one of the mant vendors dripping down their front as they gawked at the spires. Other posed as the crucified Christ outside the main doors. Unlike most crucifixes, the Jesus figure on this one stares down at an angle, almost as if he is flying. 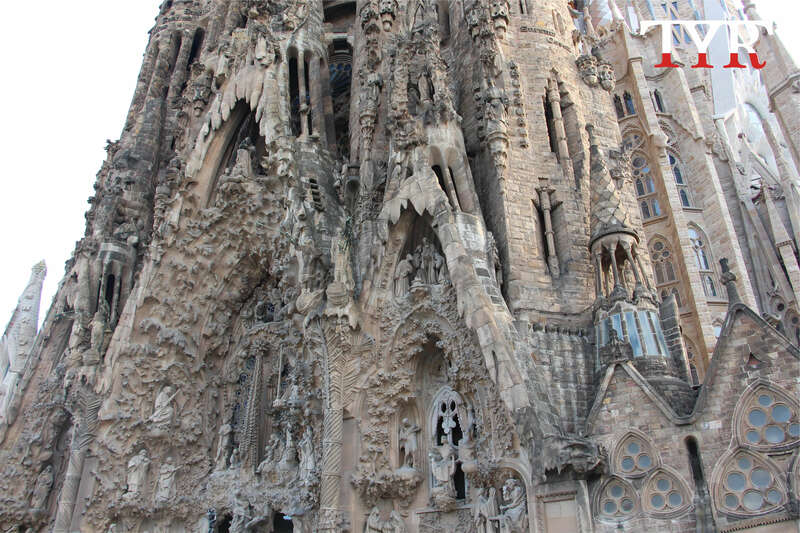 Such unconventional and sometimes over decorated designs are iconic of the Catalan architect, Antoni Gaudí (1852-1926). His work defines Catalan Modernism. 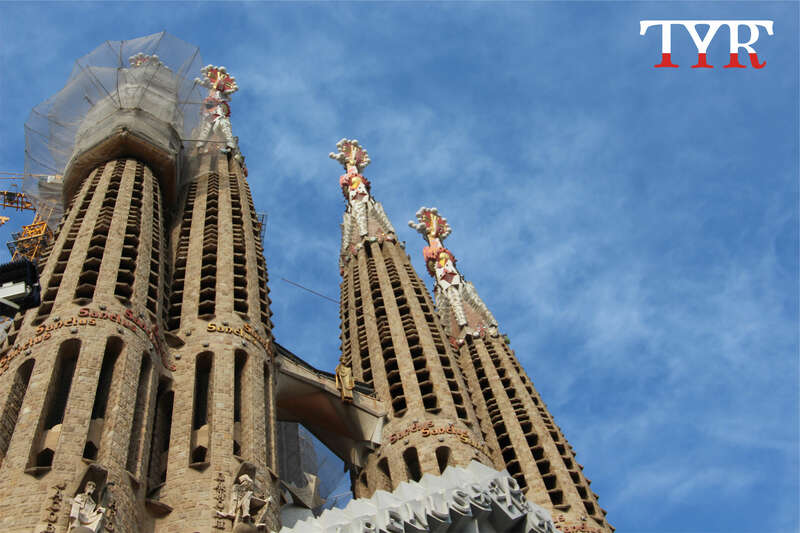 Between 1984 to 2005, seven of his masterpieces were listed as World Heritage Sites by UNESCO, including Casa Batlló, Park Güell and the unfinished basilica, Sagrada Família. 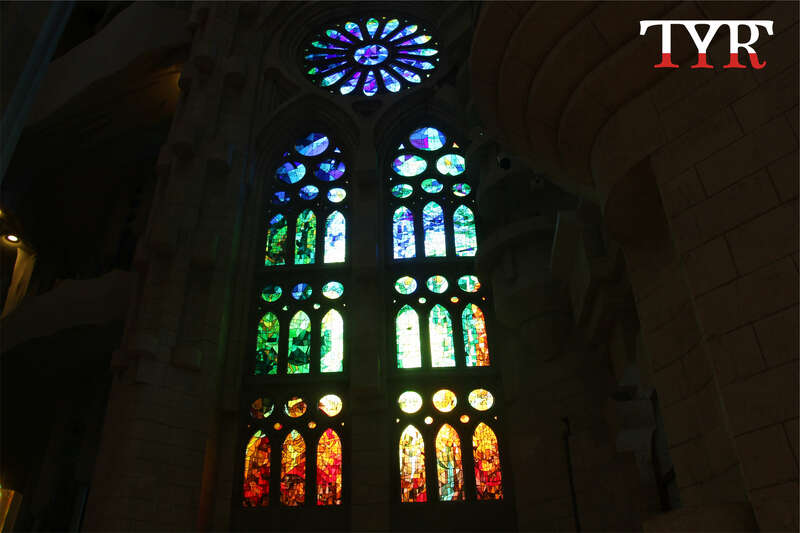 More than six million tourists visited Spain in April, according to the country’s government data, and Sagrada Família alone drew more than three million people. A survey by Statista indicates that other masterpieces by Gaudí, including Park Guell, La Pedrera and Casa Batlló also rank among the top destinations. Born in Catalonia, Gaudí was fond of observing the nature in his childhood, which gave him rich inspirations in architectural design afterwards. In 1877, Gaudí designed his first building, Casa Vicens, under the commission of a merchant Manuel Vicens, on Passeig de Gràcia, Barcelona. 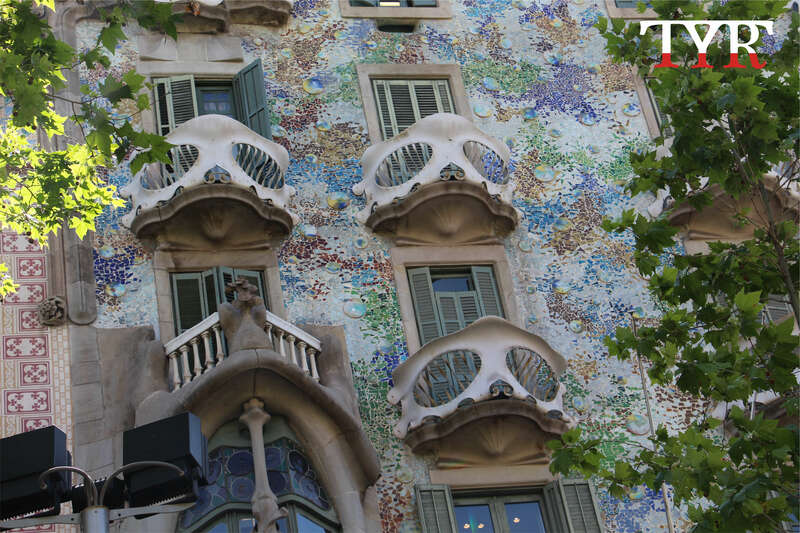 Further down the boulevard stands Casa Batlló with its colourful mosaic and dragon-like balconies. The line for tickets to these building may be long, but many more people pose for selfies outside. 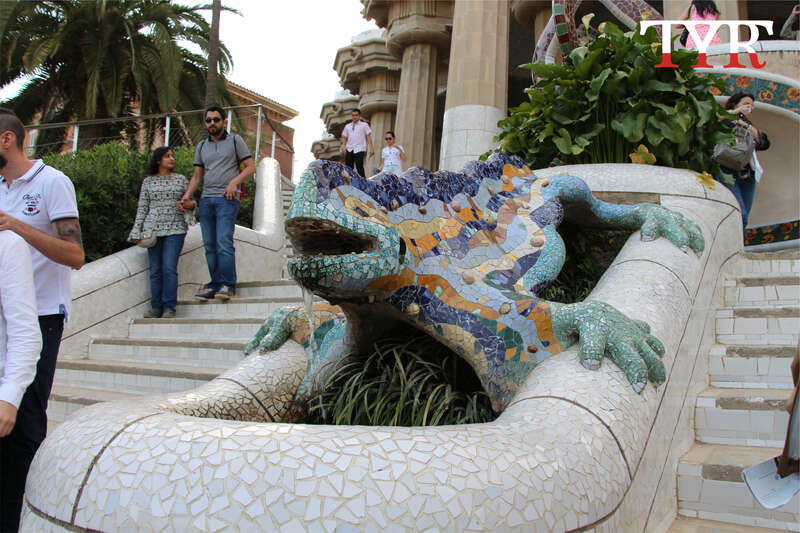 Visiting everyone of these Gaudí site in the city will set you back more than 100 euros ($923). Gaudí conceived those richly sophisticated columns, vaults and other geometric structures abstracted from “the Great Book of Nature.” He once said, “The line belongs to human beings, and the curve belongs to God.” Gaudí noticed that there are no pure straight line in the nature. Therefore, almost no straight lines can be found in his work and most of them are formed by vibrant curves and organic objects. 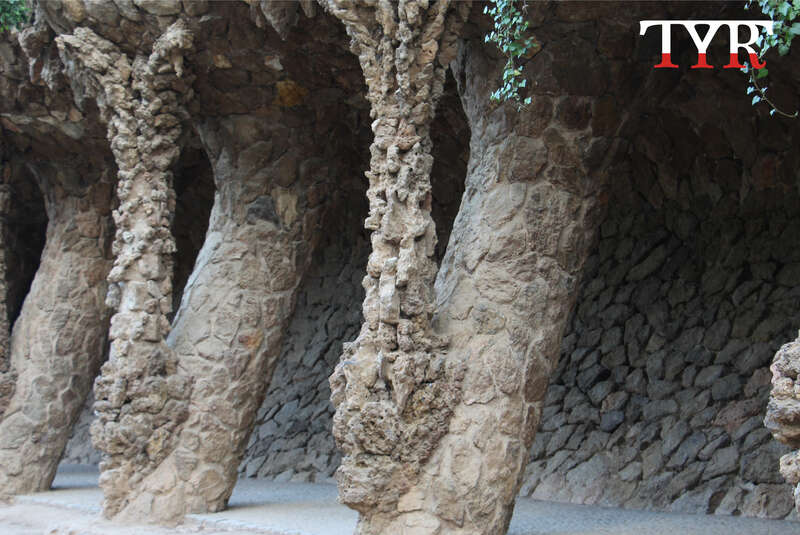 That’s the reason why visitors can see sloping trunk-shaped columns at Park Guell, the balcony railings that take the shape of mask at Casa Batlló, and snell-shell-like spiral staircase at Sagrada Família. On 7 June 1926, after his daily work at the Sagrada Família, Gaudí was hit by a steer tram and lost consciousness when he was on his way to the Sant Felip Neri church for prayer and confession as usual. After his death, the people of Barcelona generally regarded Gaudí as the saint of the city. 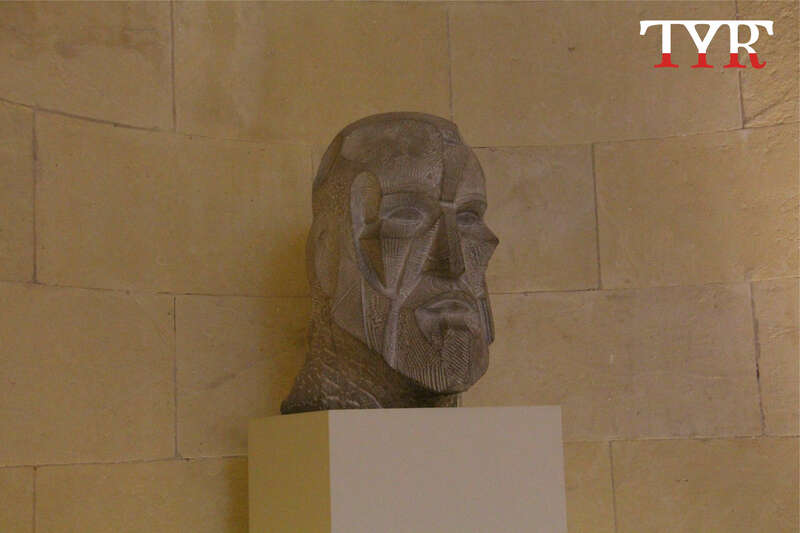 And the director of the Museum of the Barcelona Archdiocese wrote an article hailing Gaudí as “God’s Architect,” which was widely circulated afterwards. 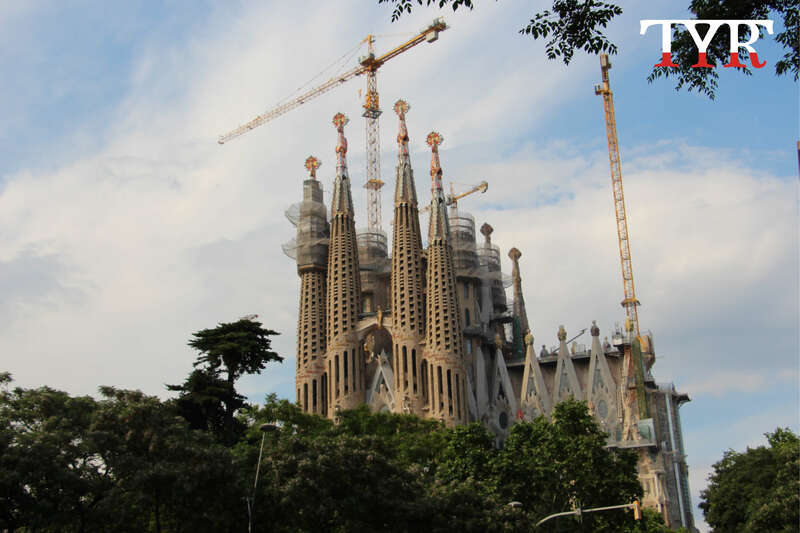 Since 1992 when the Association for the Beatification of Antoni Gaudí was constituted, there were rising voices that called for his beatification, however, yet to be confirmed. Casa Batlló was renovated by Gaudí between 1904 and 1906. Casa Batlló, located on Passeig de Gràcia, was renovated by Gaudí between 1904 and 1906. In 1995, more than 2,500 square meters was opened to the public by its current owners for various functions such as corporate event, cocktail dinner or wedding. Over the past decades, rooms at Casa Batlló have been in demand for important events in the city. According to the official website of Casa Batlló, the architecture is intimately connected with the legend of Saint George, the patron saint of Catalonia, who killed the wrathful dragon with his spear to save the princess and her people. The ridge against the façade resembles a dragon’s backbone. Those ceramic tiles covered on the roof are dragons’ varying scales that initially turquoise on the right side, where the head begins, turn marine blue and violet in the middle, then gradually turn peach red on the left side due to the wound. The tower, perched on the bloody side, symbolises George’s spear that pierces the dragon. 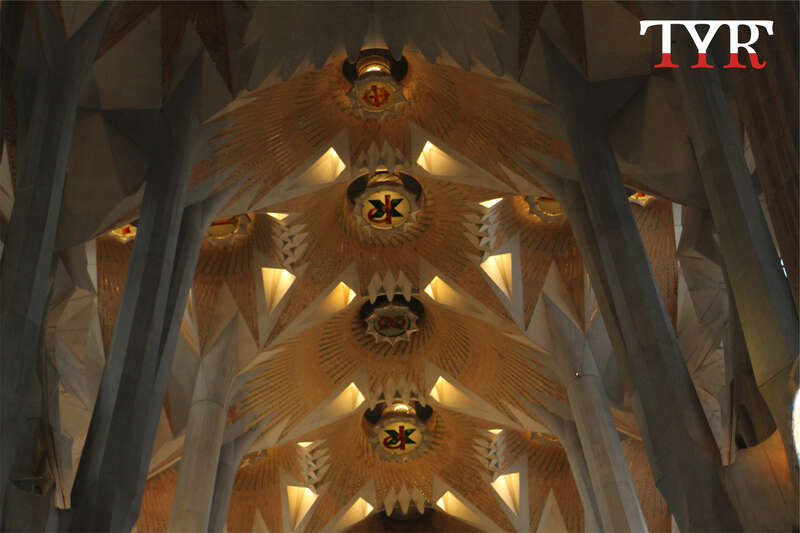 It is crowned with a four-armed cross decorated with monograms of Jesus Christ (JHS), Virgin Mary (M) and Saint Joseph (JHP), outpouring Gaudí’s religiosity. Gaudí used to say that there is no better structure than the trunk of a tree or a human skeleton. 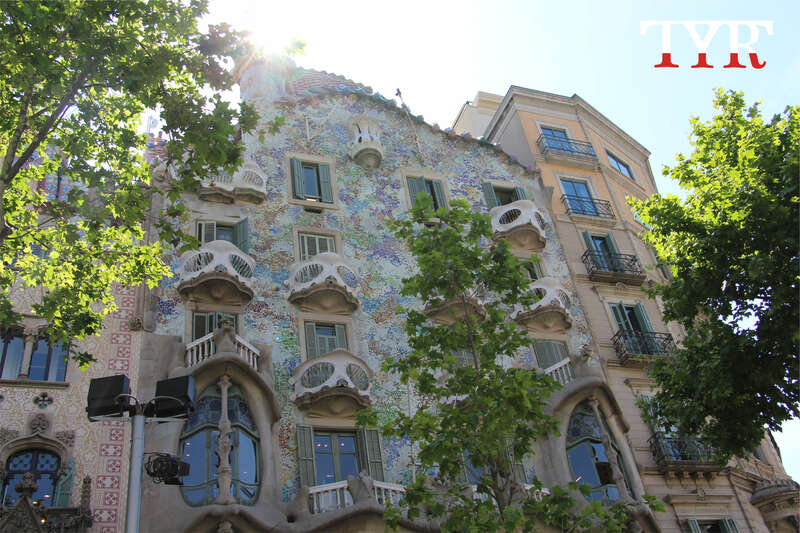 Throughout history, Casa Batlló has been nicknamed Casa dels ossos (House of Bones) considering its skeletal organic design. 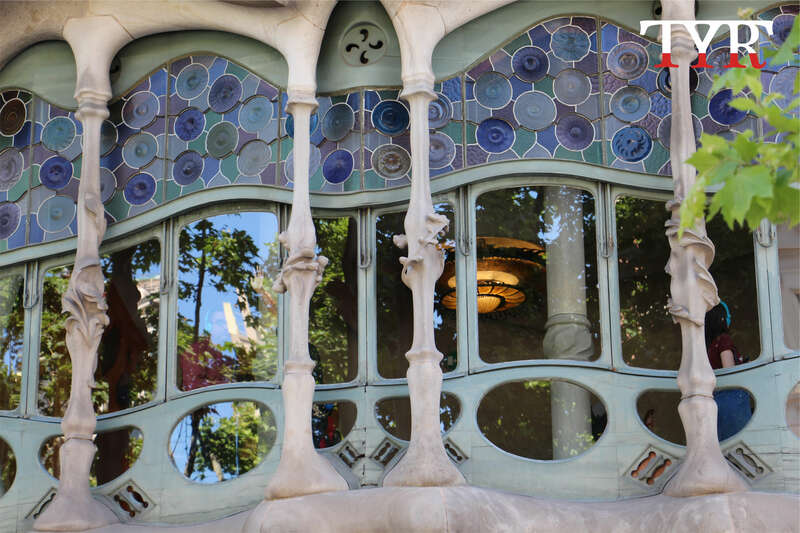 As explained by the official website of Casa Batlló, the bone-shaped balcony railings and stone columns imply the victim of dragon, which signals the calmness afterwards. Below the roof is undulating surface with gentle ripples and reflections caused by mosaic coating of broken glass and ceramic pieces, reminiscent of Monet’s Nymphéas (Water Lilies). 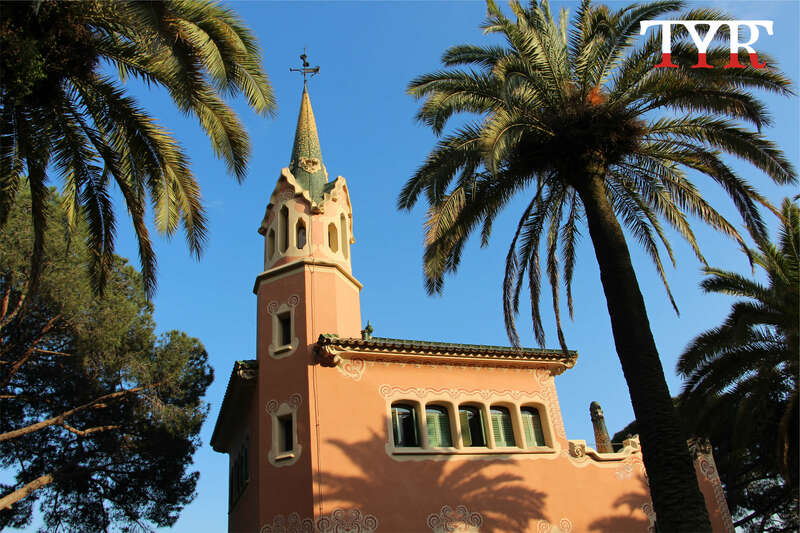 Park Güell was initially a commercial estate for wealthy upper class families and was open to public in 1926. Together with local entrepreneur Eusebi Güell, the architect Gaudí envisioned this community deeply affected by symbolism derived from Catalan nationalism, Catholicism and mythology during the period from 1900 to 1914. Today, the park is packed with tourists as well as locals going for a jog or walking their dogs. Upon arrival, the first architect that leaps into the view is this building with brick-red tints, which used to be the residence of Gaudí from 1906 till the end of 1925. It is nowadays the Gaudí House Museum, exhibiting collections during his lifetime such as furniture, sculptures and paintings. Winding out of the hillside, this colonnaded pathway with sloping columns curving over from a retaining wall to support the road takes visitors down to the main architectural complex of Park Güell, at the end of the path. At the main entrance are two pavilions, evoking the gingerbread house in Brothers Grimm fairytale Hansel and Gretel. The left one was actually used as a porter’s lodge, with a waiting room and telephone booth, while the right one was the porter’s residence. 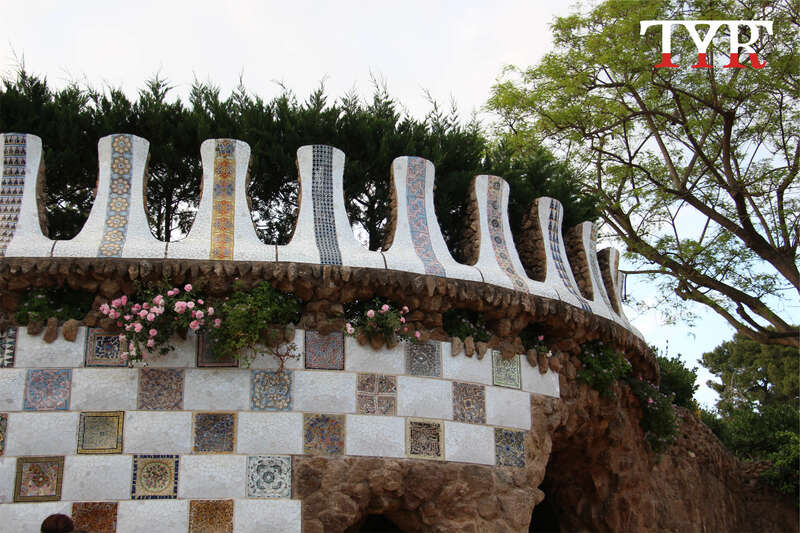 Both of their roofs are inlaid with “trencadís”, a kind of mosaic technique which is ubiquitous in the Park Güell. 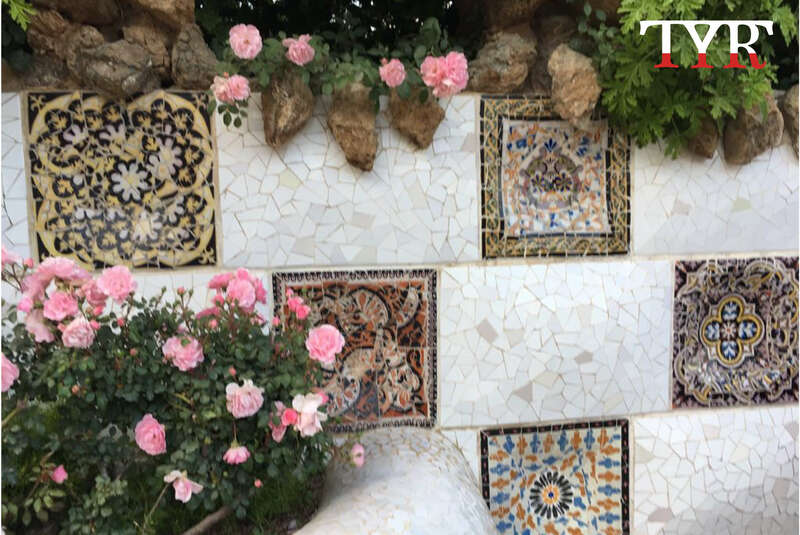 Terrace walls along the Dragon Stairway are also decorated with trencadís (mosaic) made from tile shards, broken chinaware and other small materials like buttons and shells. Half way of the Dragon Stairway sprawled a multicolored mosaic salamander, widely recognized as the emblem of Catalonia and further up el drac (the dragon), in reference to the legend of Saint George. It is removed to the main entrance of the park after the vandalism in February 2007, overlooking the whole of Barcelona. 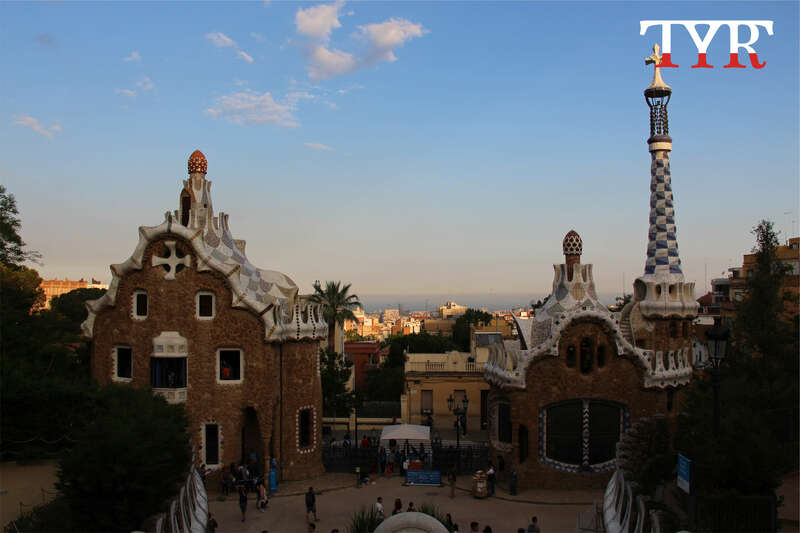 Park Güell was also the former site to host the First International Congress of the Catalan Language Party in 1906, while it was still under construction. During the second half of the 19th century, artists including Gaudí participates into the Catalan Renaissance which focused on the full restoration of Catalan language and culture. As the only unfinished architecture on the list of UNESCO World Heritage Site, Sagrada Família has experienced five generations of architects to construct since 1882 and is scheduled to be completed in 2026, which is exactly the centenary of Gaudí’s death. Gaudí undertook the construction of Sagrada Família in 1882, and he concentrated exclusively on this sole project regardless of all other work in 1914. After living in the Park Güell for almost 20 years, Gaudí even moved to the workshop of the Sagrada Família at the end of 1925, when, a few months before his death on 10 June 1926. As the first façade to be completed in 1930, the Nativity façade was richly ornamented to depict the birth of Jesus with a tone of sublime joy, retelling the story from the pregnancy of Virgin Mary to the growth of Jesus Christ. 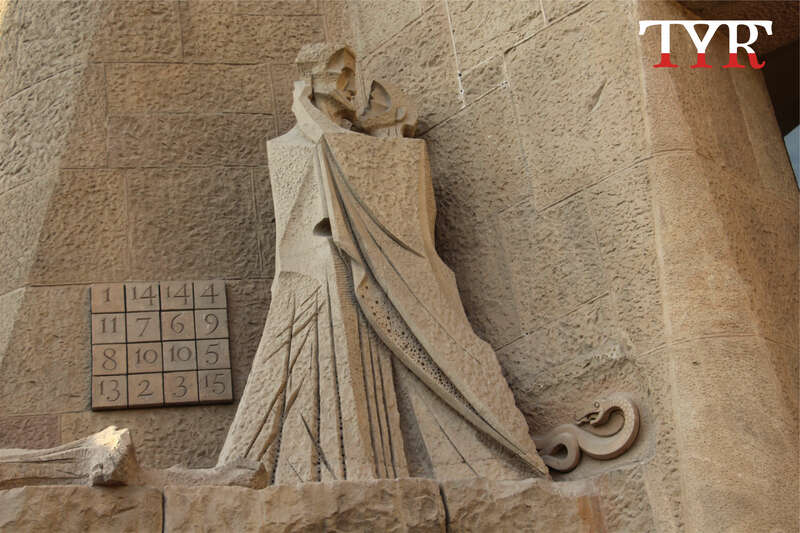 A magic square is carved on the Passion façade with a Magic sum of 33 which implies the age of Jesus at his death. Looking up into the sky are eighteen towers of Sagrada Família, brimming with hierarchically stratified Christian symbolism. The central one is the tower of Jesus Christ at 172.5 metres tall and it will be surrounded by four towers of evangelists and their Gospels which are expected to reach 135 metres high. Another tower of the Virgin Mary, crowned by a star, is located over the apse reaching 138 metres in height. And remaining twelve bell towers stands 100 metres high, representing twelve apostles who witnessed words and deeds of Jesus. 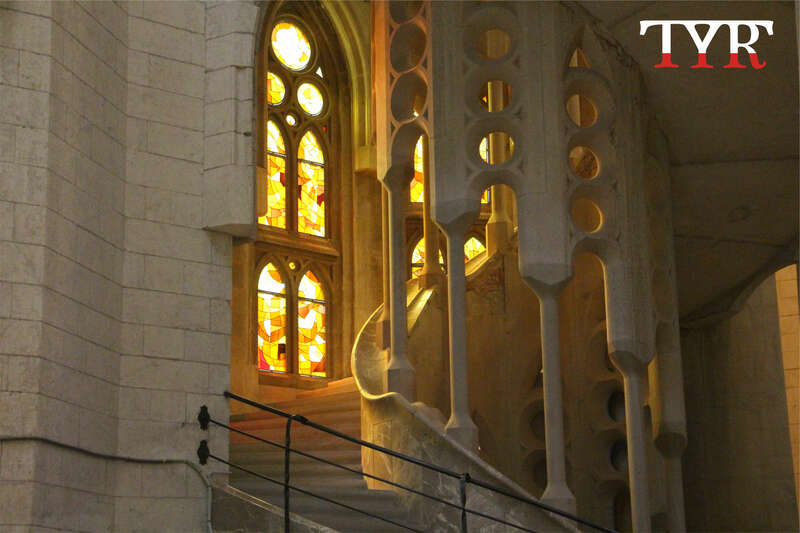 Stepping into the Sagrada Família, you will marvel at its exquisitely designed interior. This vaulted ceiling in the central nave and transepts was built in year 2000, simulating forms of rocks and trunks in the caves of Mallorca and Collbató, and the Prades Mountains, As analysed by Iasef Md Rian, an architectural researcher at Polytechnic University of Turin. “Color in architecture must be intense, logical and fertile,” wrote Gaudí in his diary in the late 1870s. This upper stained glass in the apse is designed to create an introspective atmosphere with color gradients. Complex geometric elements such as hyperboloids, ellipsoids and conoids are richly applied to this church. The spiral staircases utilise helicoids to represent the rising movement that links the earth with the heaven, according to the iconography of Gaudí.